Aug. 5-11 is National Farmers Market Week this year, as noted by the Farmers Market Coalition. The Sitka Farmers Market didn’t quite line up its dates with National Farmers Market Week this year, but if you didn’t attend our market on Saturday, Aug. 4 you still can celebrate the week by attending the Sitka Farmers Market from 10 a.m. to 2 p.m. on Saturday, Aug. 18, at the Alaska Native Brotherhood Hall (235 Katlian St.). Farmers markets have been growing nationally, from 2,863 in 2000 to 7,864 in 2012, a jump of more than 270 percent. While Alaska doesn’t have as many farmers markets as other states, it did have the highest percentage of new markets in the country last year, up 35 markets in 2011 or 46 percent. The national rate of new market growth was 17 percent in 2011 and 9.6 percent in 2012. 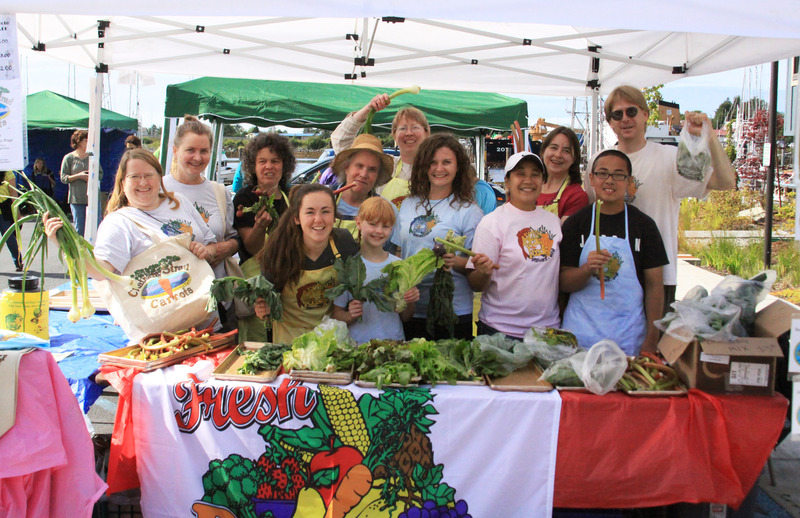 Aug. 18 will be the fourth of six full Sitka Farmers Markets this summer, with the schedule running on alternate Saturdays (July 7, 21, Aug. 4, 18, Sept. 1 and 15). The markets feature local seafood (fresh, frozen, and cooked, ready to eat), locally grown and harvested fruits and vegetables, baked bread, locally picked berries, jams and jellies, cooking demonstrations, live entertainment, locally brewed and roasted coffee, music, local arts and crafts, and a variety of other items gathered or made in Sitka. We emphasize local products and lots of fun. We are the first farmers market in Southeast Alaska to accept WIC coupons. You also can vote for the Sitka Farmers Market in the America’s Favorite Farmers Markets contest by following the links at https://sitkalocalfoodsnetwork.org/2012/06/22/%E2%80%A2-dont-forget-to-vote-for-the-sitka-farmers-market-in-this-years-americas-favorite-farmers-markets-contest/. For more information about the market or hosting a booth, contact Sitka Farmers Market Manager Johanna Willingham at 738-8836 or johanna.willingham@gmail.com. By the way, we always need volunteers to help set up and take down the market before and after the event. Your help is greatly appreciated. Also, there will be a couple of work parties from 4-6 p.m. on Wednesday, Aug. 8, and from 2-4 p.m. on Saturday, Aug. 11, at St. Peter’s Fellowship Farm, which is located behind St. Peter’s By The Sea Episcopal Church (the dark brown brick-and-wood church on Lincoln Street above Crescent Harbor). Fresh veggies will be available for a donation to the Sitka Local Foods Network or a WIC Farmers Market Coupon. For more info on garden work parties, contact St. Peter’s Fellowship Farm Lead Gardener Laura Schmidt at 738-7009 or 623-7003. This entry was posted in Fundraisers for the Sitka Local Foods Network, Sitka Farmers Market, Sitka Local Foods Network events, St. Peter's Fellowship Farm and tagged America's Favorite Farmers Markets contest, ANB Hall, arts and crafts, berries, carrots, cod, education, encouragement, farmers market, Farmers Market Coalition, fish, food, food security, garden, halibut, Johanna Willingham, Laura Schmidt, Linda Wilson, market, music, potatoes, produce, projects, salmon, Sitka, Sitka Farmers Market, Sitka Local Foods Network, St. Peter's By The Sea Episcopal Church, St. Peter's Fellowship Farm, vegetables, WIC Farmers Market Coupon. Bookmark the permalink.